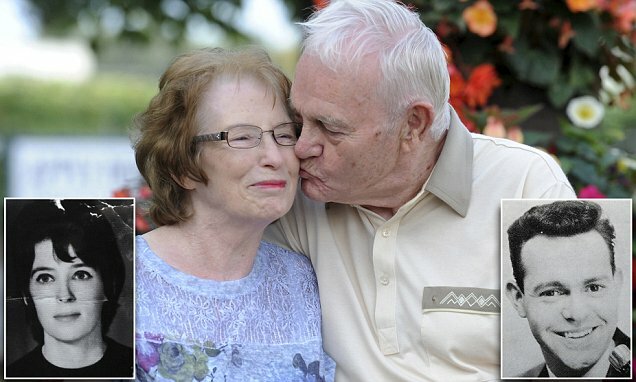 A pair of childhood sweethearts who were miraculously reunited at a sheltered housing complex are due to tie the knot - more than 60 years after they met. Ron Owen, 84, and Ruth Holt, 79, met in the late 1950s while working in the same office and dated for a year before going their separate ways to pursue their careers. However, Ruth couldn't believe her eyes after she spotted Ron - who she described as 'always the one' - playing music in the communal hall of the housing complex where she lived. Incredibly, Ron - who performed under the stage name 'Ronnie Ray' - had moved into a bungalow across the road from Ruth two weeks before their chance encounter. After the 'miracle' reunion in 2014, the loved-up pair moved in together and Ron proposed in front of the television in July 2018. Ron and Ruth are now preparing for a church wedding with 50 of their friends and family celebrating the reunion in September this year. Ruth, who has two sons and four grandchildren from her previous marriage, said: 'I was in my bungalow one day when my sister came to see me. 'She had been at a party in the communal hall and said there was a 'great singer on' and mentioned something about a man named Ronnie. 'I said 'Ronnie Ray?' When she replied yes I nearly fell through the floor. The warden spoke to Ron and let him know Ruth had asked about him and told her where he lived. Ron rushed round to see Ruth at her bungalow in St Annes, Lancashire, and the pair spoke for the first time in over 60 years.